The Legacy Film Festival on Aging presents films that bring to light the challenges and inspiring stories that surround the issues of aging. Living Well supports the Legacy Film Festival because of the films focus on many of the realities that both the aging, their caregivers and families experience. Their mission is to present films that inspire, educate and entertain intergenerational audiences about the issues surrounding aging. The films begin Friday, June 7 at 5:30 p.m. and are broken up into seven sessions throughout the weekend. 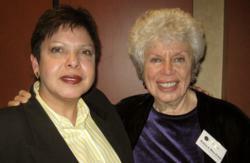 Doris Bersing PhD, founder of Living Well, will also be participating at a post-screening Q&A on the opening night. The festival program, ticket information, and schedules can all be found on the website at http://www.legacyfilmfestivalonaging.org/index.php. Living Well offers specialized care for adults with chronic and debilitating conditions — like Alzheimer's, Parkinson's, ALS, and mental illness — that compromise their ability to live safely in their homes. At Living Well Assisted Living at Home, they combine a team of experts, the use of smart technology with exceptional customer service to deliver personalized, comprehensive care to seniors and adults with cognitive, behavioral, and movement disorders. Their approach to senior home care enables those seniors and adults affected by Alzheimer's Disease and other dementias, Parkinson's, ALS, other neurological disorders, and mental illnesses, to live independent and meaningful lives. At Living Well, they aspire to create a safe and nurturing environment while allowing for independence and dignity for seniors and adults and offering peace of mind to the adult children and family members.